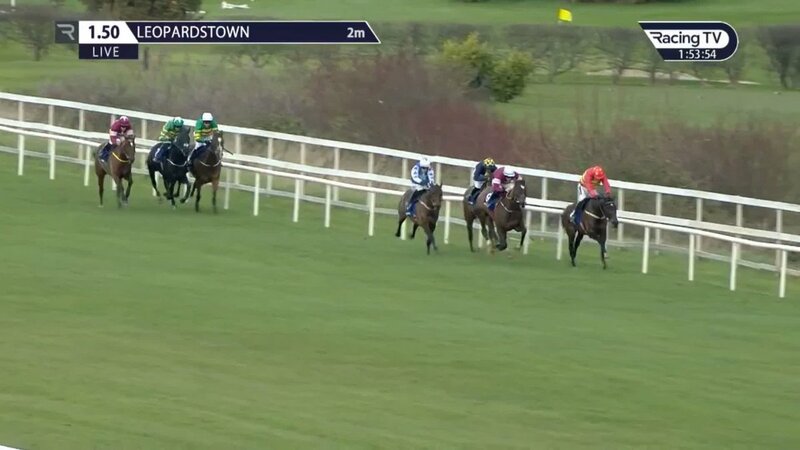 The second Dublin Racing Festival was run at Leopardstown over the weekend and despite a large number of non runners, we were treated to some high class action. Apple’s Jade, Min and Sir Erec all greatly enhanced their Cheltenham Festival Tips credentials but in this article I will highlight some beaten horses that are of interest at Prestbury Park in March. In the 12:50 Grade 1 Nathaniel Lacy & Partners Solicitors 50,000 Cheltenham Bonus For Stable Staff Novice Hurdle on Saturday, Relegate ran a lovely trial for the Albert Bartlett at Cheltenham. This was only her third run over hurdles and she made a few mistakes at her obstacles before appearing outpaced over this 2m6f trip. She stayed on from 9th entering the straight to finish a never nearer 5th eventually beaten around 7 lengths at the finish. Relegate won the Champion Bumper last season on soft ground at the Festival and I believe she should be backed at 16/1 (or 14/1 NRNB) for the Albert Bartlett with the step up to 3 miles looking sure to suit. The Grade B Ladbrokes Hurdle ran at 2:00 will be remembered for the 1-2-3 for owner JP McManus but it was the run of the favourite Uradel in 5th who caught the eye. Uradel won a flat handicap at Galway earlier this season off a mark of 81 over 2m1f before finishing second off a mark of 94 in the Cesarewitch at Newmarket over 2m2f in October. He slightly disappointed in his penultimate start in the November Handicap off a mark of 102 but that was over a shorter trip of 1m6f so it can be excused. Those performances on the flat over further than 2 miles imply that Uradel would be better suited by a step up in trip over 2m5f for the Coral Cup at Cheltenham and his run on Saturday would also give that impression. He stayed on well late on to finish a never nearer 5th and I would recommend taking the 16/1 available for the Coral Cup. Klassical Dream (up 6 lb to 143p) arrived with less domestic experience than runner-up Aramon, but it didn't show as he battled back to lead on the line. He looks sure to keep improving, with the Supreme and Ballymore options open to him at Cheltenham. Vision D’Honneur was ante-post favourite for the Chanelle Pharma Novice Hurdle on Sunday but was eventually usurped by the Willie Mullins pair in the market and on the track in Klassical Dream and Aramon. Vision D’Honneur won well in his PTP before moving to Gordon Elliott at a cost of 350k and impressed winning a maiden hurdle at Punchestown by 4 ½ lengths. He travelled well into the race on Sunday over 2 miles but with a rounded knee action I feel that he wasn’t letting himself down on the ground in the closing stages which meant he eventually weakened to finish 3rd in the finish. With connections having Battleoverdoyen and Commander Of Fleet for the Ballymore Novices Hurdle at Cheltenham, I have no concerns about connections still aiming him at the Supreme Novices Hurdle for which is now available at 20/1 for. The festival always starts on Good to Soft ground at best which will suit him well and I think the market has over-reacted to his defeat on Sunday. The Storyteller finished 3rd in the Irish Gold Cup on Sunday beaten less than eight lengths but his efforts this season have shown that he isn’t a Grade 1 Chaser despite a respectable rating of 158. In a pre-season stable tour, Gordon Elliott stated “Don’t be surprised if he ends up back over hurdles, as he looks well handicapped and could have a big one in him” so the 20/1 that is currently available for the Coral Cup is of huge interest. The Storyteller is only rated 142 over hurdles in Ireland so could prove about 10lb ‘well in’ at the festival over hurdles and given that he won the Stable Plate last season over the trip of 2m5f, the Coral Cup looks the logical race to target at the festival this season.